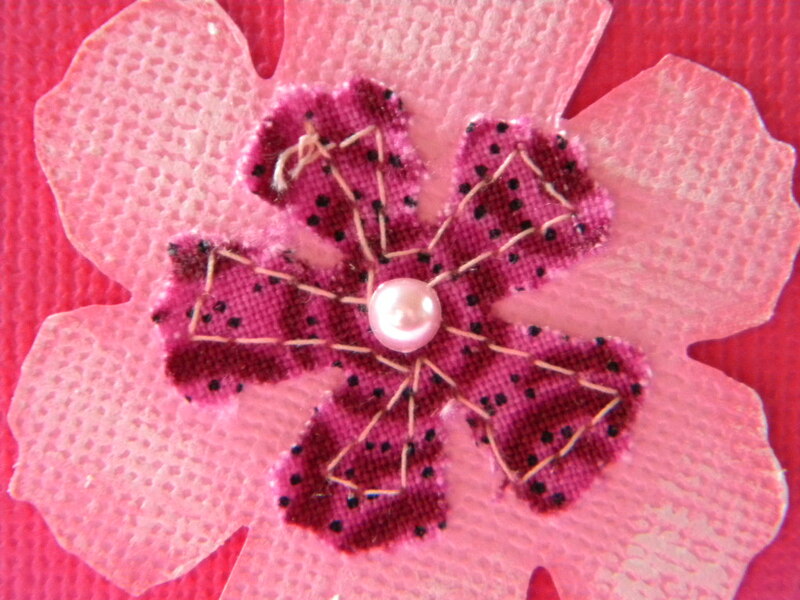 Well… the sewing machine was still set up from yesterdays day of crafting, so I thought i’d make a little pink stitched card, just for a change! I’m working on the Star project for the challenge over at Your Paper Pantry and made this whilst i’m watching paint dry! ha!! I’m begining to get into this sewing machine malarky and have to say i’m really enjoying it! Who’d have thought that!! certainly not my sewing teacher from school lol. 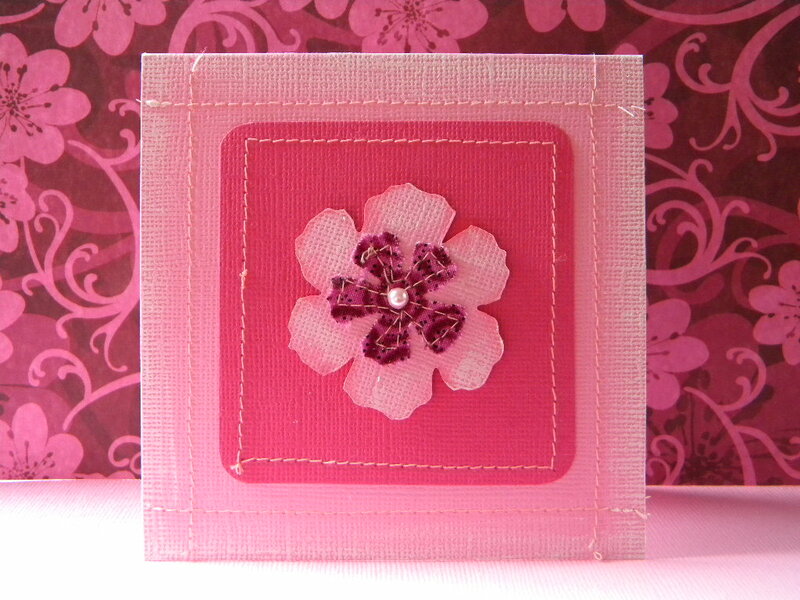 Papermania Pink Textured Cardstock Caspule Collection.